Anna Romanova, from Russia was awarded her Restaurant Management Diploma in 2016. 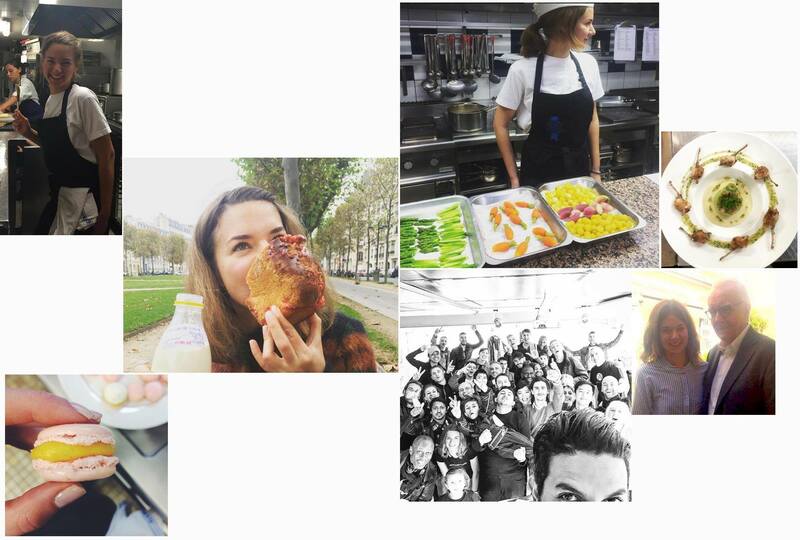 Today, she works for Chef Akrame Benallal’s group after having done her internship there. Find out here what she did. The desire to be inside of the restaurant, to see how things work, and to be able to observe it from different angles. I enjoyed working on my restaurant concept and working on the business plan. I stay at the place where I did my internship. At the end of the internship I was asked to do the business plan of the new restaurant concept which was approved and after I was proposed the post of “chef de projet”. Which I accepted and now I am working on developing and opening a restaurant. Not to be too obsessed with the "big" names. Sometimes it's better to go to a small place, you will have more opportunities to study. And be ready to do a lot of things that might seem to be not important but there is a sense it so it's better to take it easy. I am still in Akrame. Will be in touch if working on new projects and doing financial analysis. Nothing special. To go with the flow!